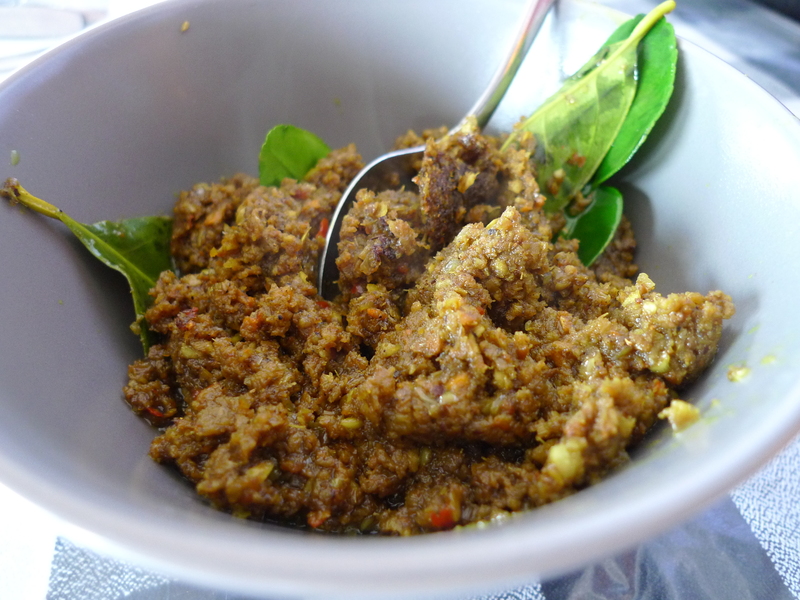 This spice paste was made for Tum Ayam (Minced Chicken in Banana Leaf) during my Balinese Cooking Class. 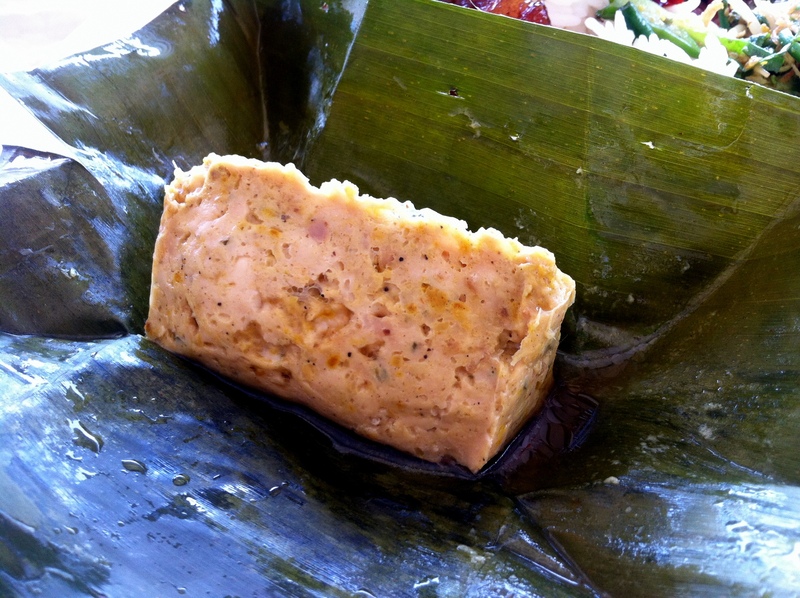 Put shallots, garlic, kencur, laos, candlenuts, turmeric, and palm sugar into a food processor and grind coarsely. Heat oil and fry all the ingredients until very hot, stirring frequently, until the marinade changes to a golden color. Let cool before using. 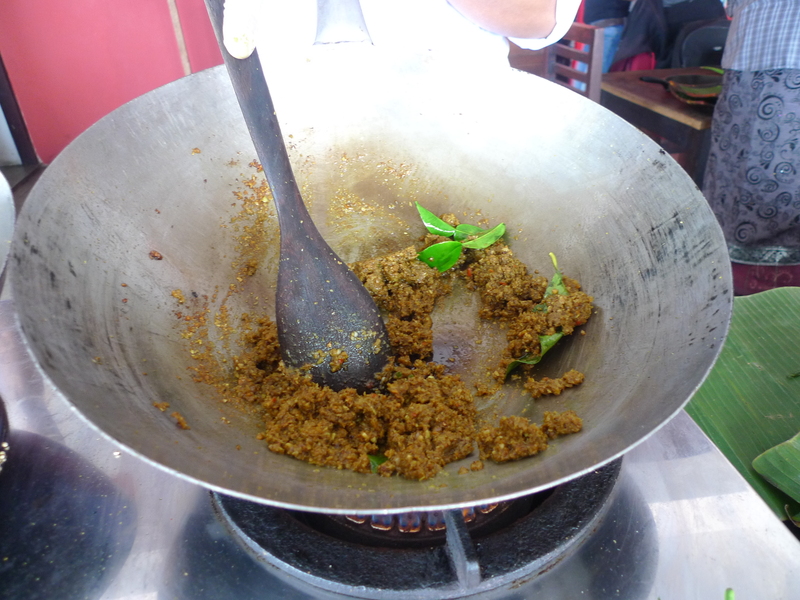 We used this chicken spice paste to make Tum Ayam (Minced Chicken in Banana Leaf).